The Department of Health, Human Performance, and Recreation (HHPR) prepares students for an exciting and rewarding breadth of careers in the challenging fields of public health, kinesiology, and recreation and sport management. HHPR students enjoy challenging courses and numerous opportunities to gain experience in community settings. The department is known for providing a student-friendly atmosphere where nationally recognized faculty are readily available to assist students seeking advice with everything from course selections to resume building and career advice. 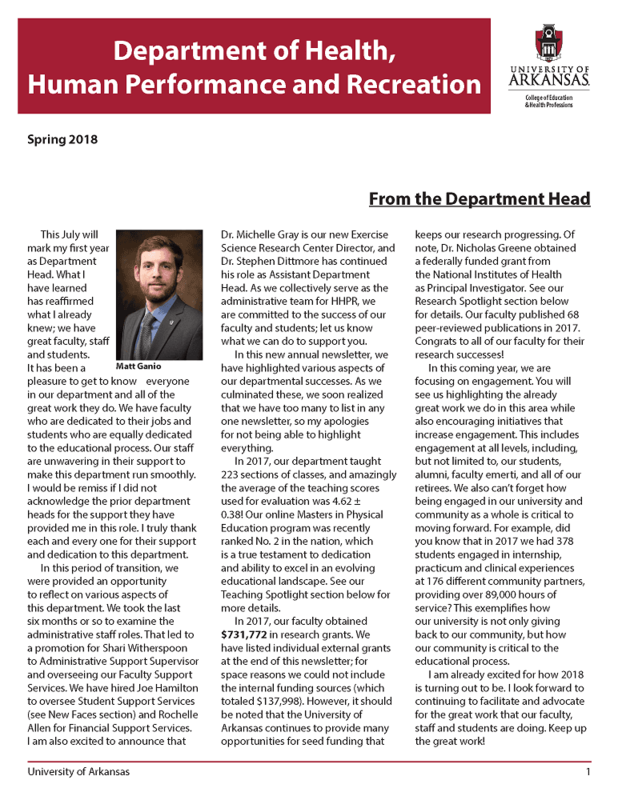 The Department has published its Spring 2018 newsletter (PDF).